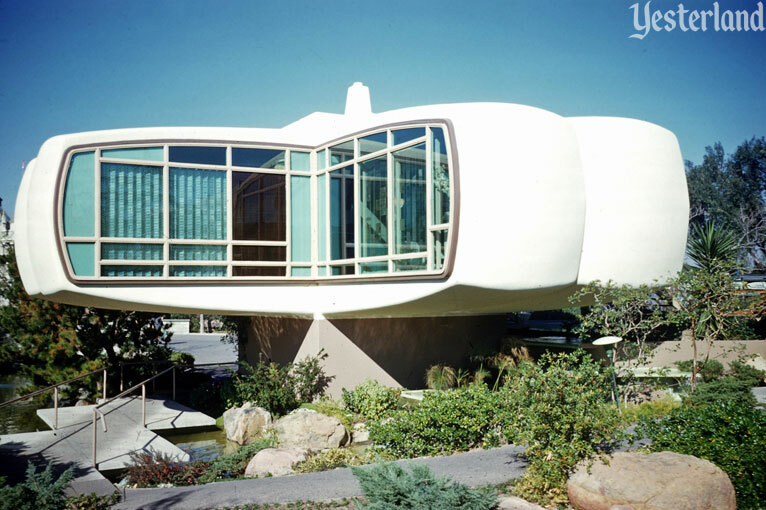 Today’s unusual Yesterland article is about a plastic house inspired by a plastic house. My reaction was enthusiastic: “I love your LEGO model. Great job with the LEGO and wonderfully captured in your photos!” I asked for Andy’s permission to publish them. LEGO is an abbreviation of two Danish words: leg godt, meaning play well. (Coincidentally, lego means “I put together” in Latin.) Although the company that became the LEGO Group was founded in 1932, the popular brick in its present form first appeared in 1958. LEGO is bigger than ever. 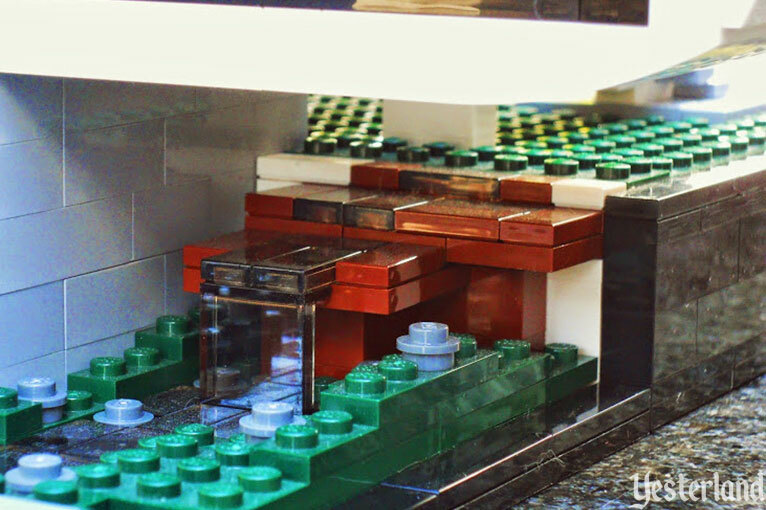 The plastic bricks have became a worldwide phenomenon. 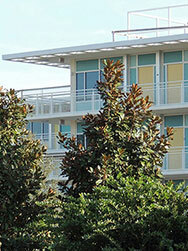 There are seven LEGOLAND theme parks. The LEGO Movie was one of the best received films of 2014. And LEGO isn’t just for children. 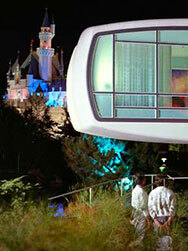 At Disneyland, the Monsanto House of the Future welcomed guests from 1957 to 1967. It was demolished but not forgotten. Andy Baird had a passion for Disney and LEGO growing up as a child. He even still has a Viking LEGO set his parents purchased for him at the Norway Pavilion in Epcot. Werner Weiss: How did you become interested in LEGO? Andy Baird: My interest in LEGO and my interest in Disney Parks have a very close relationship. I can still remember my first trip to Walt Disney World and being awestruck by the life-sized dragon outside of the LEGO Store in Downtown Disney and getting my picture taken next to a snoring LEGO man in a Hawaiian shirt. Those kinds of experiences grew my creativity as a child and still stick with me today. 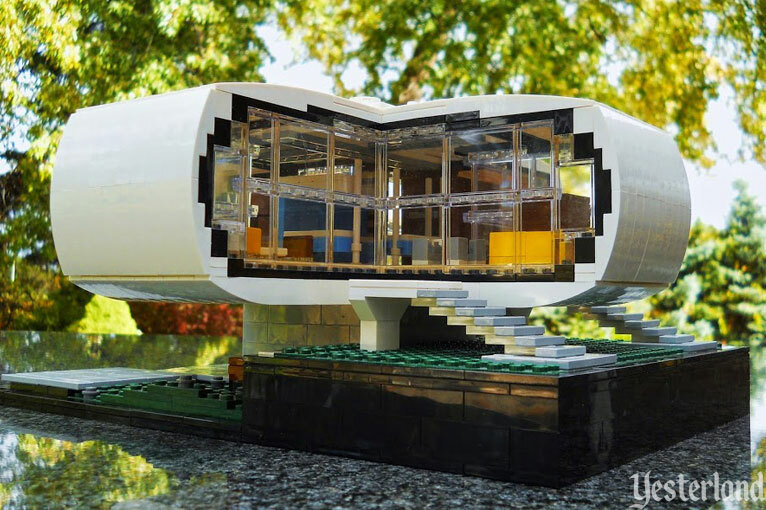 WW: Your House of the Future has shapes that I did not think were possible with LEGO. What kind of LEGO did you use? AB: With LEGO sets becoming more complex, they now require specialized pieces that (in my humble opinion) take away from the creativity of the LEGO brand. 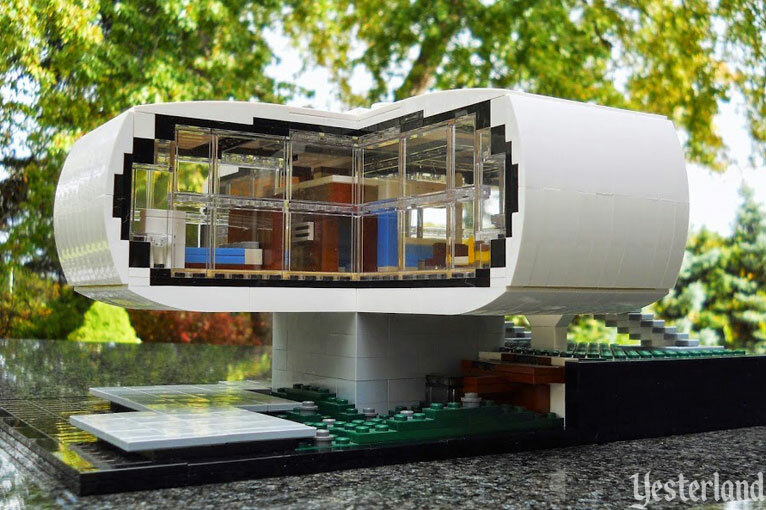 As I was designing the LEGO House of the Future, it was important to maintain a balance between creating an accurate model and not using overly specialized pieces. 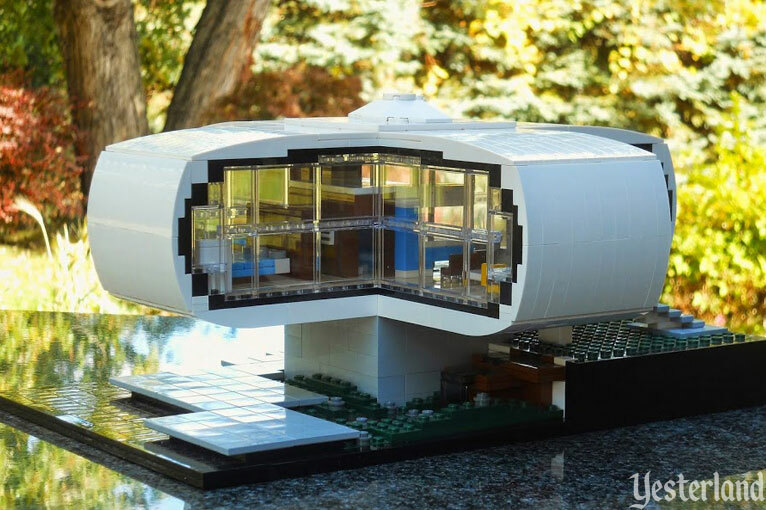 I wanted the model clearly to be made of LEGO, but still clearly represent the House of the Future. It was also important that the model could be recreated anywhere by anyone. 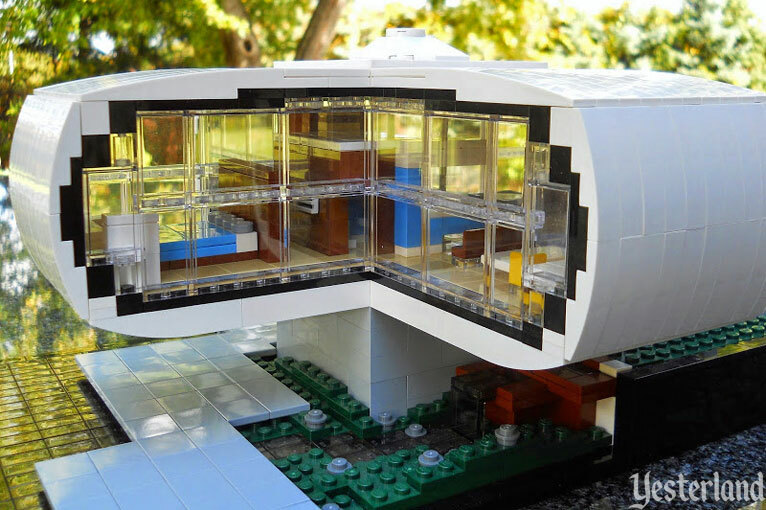 Therefore, the design uses only LEGO blocks that can be purchased individually online through LEGO’s Pick A Brick. 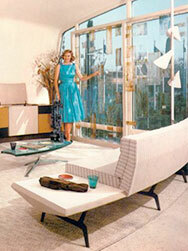 WW: What challenges did you face with the House of the Future? AB: Replicating the unique exterior form with a limited library of LEGO blocks, and within a reasonable size, was quite difficult. The most impressive LEGO models I’ve seen are often large and can capture unique details, but would be far too large or expensive to own. Capturing the essence of the original home (interior and exterior) within a reasonable size required a lot of work and rework. WW: What are some other landmarks you have built with LEGO? 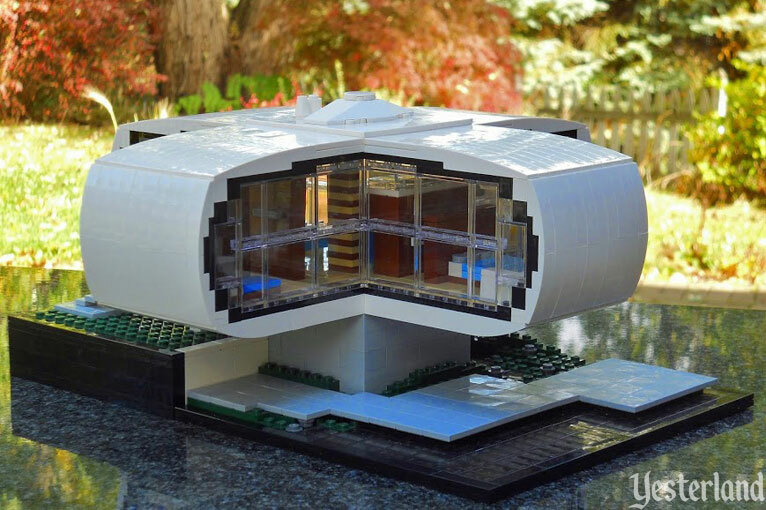 AB: My recent interest in LEGO has stemmed from LEGO Architecture models that began circulating in 2008. The Architecture brand includes landmarks and architectural staples such as Frank Lloyd Wright’s Fallingwater, Mies van der Rohe’s Farnsworth House, the Empire State Building and many others. I’ve built a few of these, but the House of the Future is actually my first custom piece. 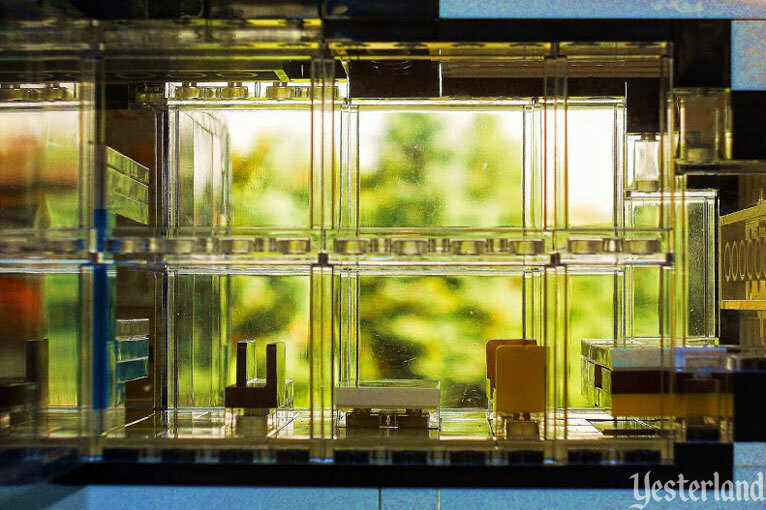 The blend between LEGO, Mid-century architecture, and Disneyland made the House of the Future a fun model that encompassed a lot of my personal interests. WW: Do you keep your LEGO creations, or do you take them apart and reuse the pieces for something else? AB: As a child, no LEGO creation lasted longer than a few days. A LEGO brick has its most potential when it stands alone, waiting to be a part of whatever your imagination decides. As an adult, I’ll be keeping the House of the Future together for a while, although I could see myself tinkering with it here and there in the future. 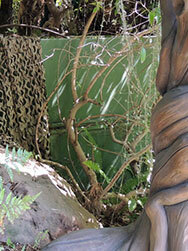 Maybe someday it will become a Pixie Hollow model. 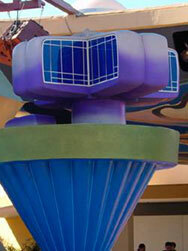 WW: What advice do you have for Yesterland readers who want to create LEGO versions of Disney landmarks? AB: LEGO has a free software program called LEGO Digital Designer which allows you to virtually build with every block in the LEGO catalog. For kids and adults alike this software provides an easy and cost-effective way to create unique models. Other than that, my advice would be to enjoy the experience. 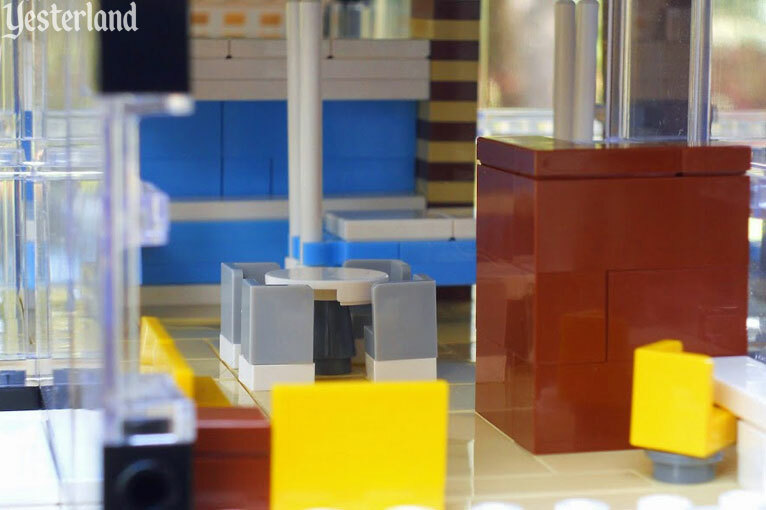 LEGO is just as much about designing and building as it is the final product. Take your time, be creative, and play well! 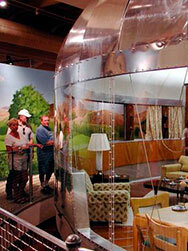 Yesterland has other articles related to the Monsanto House of the Future. Please take a look.